Elements in a good beginning are important. Read the details of what goes into the mix in Staci Troilo’s Story Empire post today. Ciao, SEers. I’ve got three posts left this year, so I thought it would be a good idea to write a post trilogy. 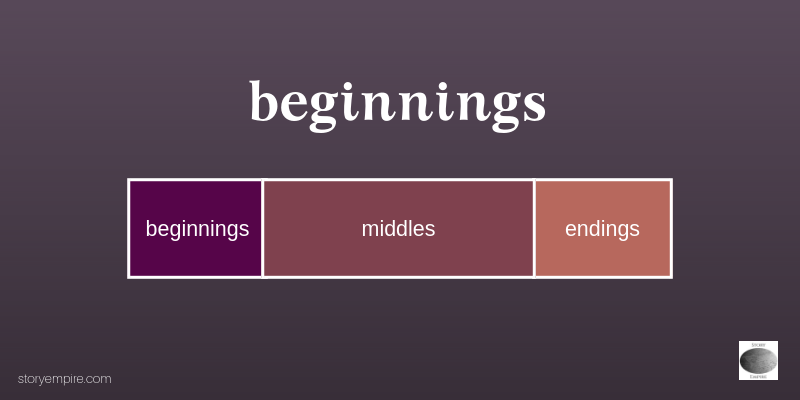 What story terms break into threes better than beginnings, middles, and endings? None I could think of. So today, we’re discussing beginnings. You see an eye-catching cover and click on the link or pull it from the shelf. You read the back-cover copy; the blurb has everything you want in a novel—a passionate couple, a precarious situation, a tantalizing mystery to solve. Just before you decide to buy it, you take a peek at the first page. Instead of reading a meet-cute or plunging into the action, you find a description of the weather and pages of backstory. Thank God you saved your money.